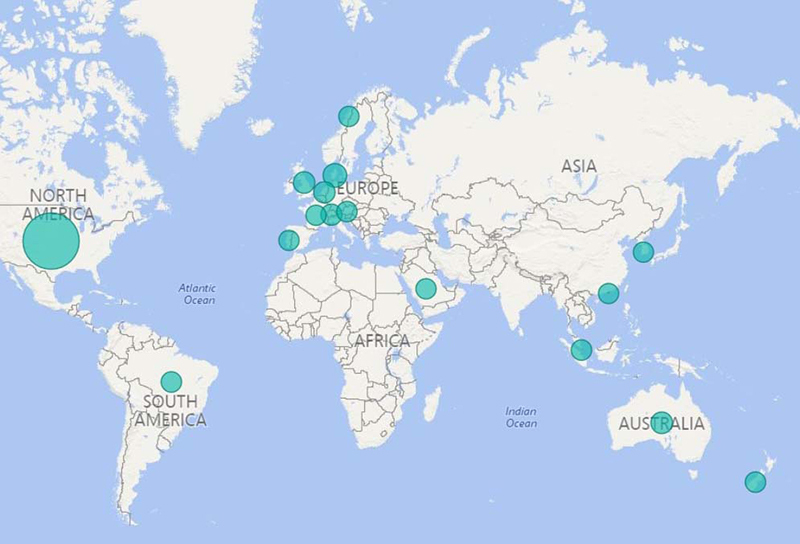 Since 2008, Virginia Mason Institute (VMI) has partnered with health care organizations around the world to assess opportunities for critical improvement; develop and implement innovative services and solutions; and continually evaluate progress to drive advances to quality, safety and efficiency. One of the overarching goals of the institute is to help organizations create value from their services — as defined from the patient’s perspective. Using the same philosophy and approach that are fundamental to Virginia Mason’s successes in quality care, VMI empowers health care leaders to address current challenges and proactively mitigate emergent issues. In 2017, VMI delivered coaching to 529 professionals, representing 124 organizations, across 56 events, in 16 countries around the world. Of these organizations, 15 were engaged in a multiyear transformation partnership. 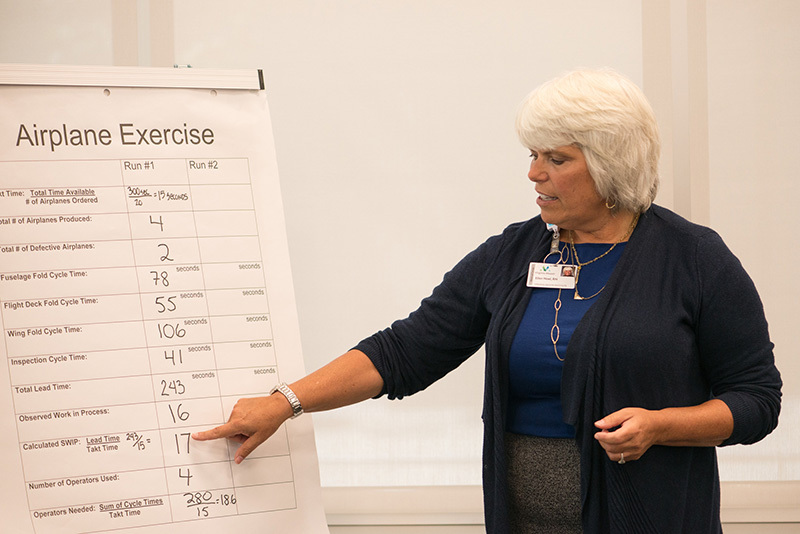 Transformation Sensei Ellen Noel leads a course on improving patient flow at the VMI’s Seattle training facility. VMI looks forward to continuing to deliver coaching and facilitation services, as well as proven strategies in the areas of lean management, optimizing flow, and improvements to quality and safety. By engaging leaders, providers and frontline team members to use proven tools and methods purposefully, and by focusing on improvements that advance quality, safety and value within the organization, the institute seeks to transform the delivery of health care. Through the continued development of new services and innovation work, the institute aims to effectively address the unique needs and pain points of all health care organizations, and provide unparalleled development opportunities to health care leaders and professionals. In 2017, Sarah Patterson was named executive director at VMI, after serving as interim executive director earlier in the year. She has been a member of the leadership team at Virginia Mason for more than 30 years, most recently as executive vice president and chief operating officer. Sarah helped Virginia Mason establish its own lean production system to eliminate waste and improve quality and patient safety and has been on seven study missions to Japan. She was responsible for all operations of the clinics and hospital, as well as the Kaizen Promotion Office, Human Resources, Quality and Compliance, Facilities and Pharmaceutical Services. 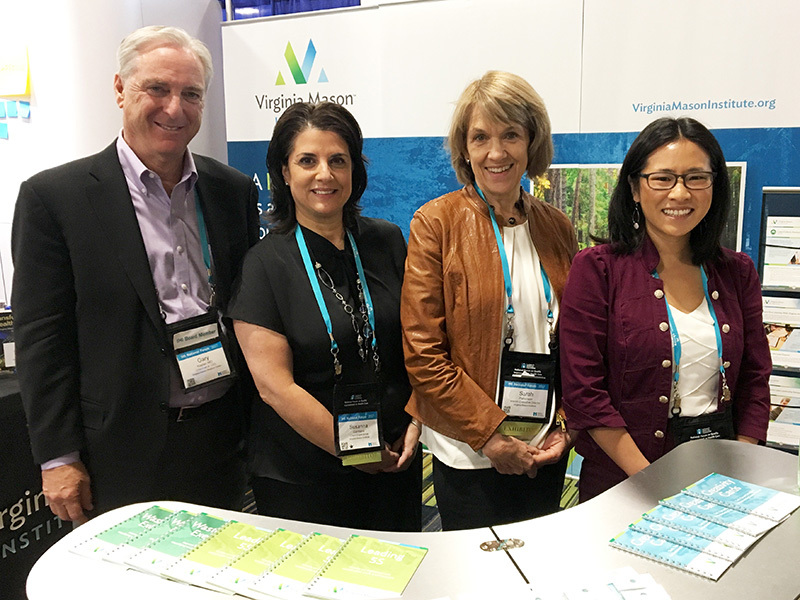 Gary Kaplan, MD, Chairman and CEO Virginia Mason Health System; Susanna Garritano, business development; and Sarah Patterson, VMI executive director; and Melissa Lin, transformation sensai, at the 2017 IHI National Forum on Quality Improvement in Health Care Forum. Mary Alida Brisk joined VMI’s leadership team as director of Client Services. Mary Alida provides oversight and strategic talent management, leading the development of institute team members who provide education, facilitation and coaching services to health care organizations worldwide in the areas of organizational transformation, culture change, improvements to quality and safety, efficiency, patient experience and staff engagement. Mary Alida joined VMI from Seattle Children's where she served as director of Talent Management and, previously, as director of Learning and Organizational Effectiveness. Wendy Korthuis-Smith, was named associate executive director. In her role, she provides organizational leadership and oversees the development of new products, services and business opportunities. Wendy, who has worked with Virginia Mason in the area of leadership development in the past, worked most recently at Deloitte, and previously with the Washington State Governor’s Office overseeing the Results program where she led state government transformation through the development and implementation of Results Washington, a performance improvement initiative incorporating 53 state government agencies, boards and commissions across five priority goal areas.